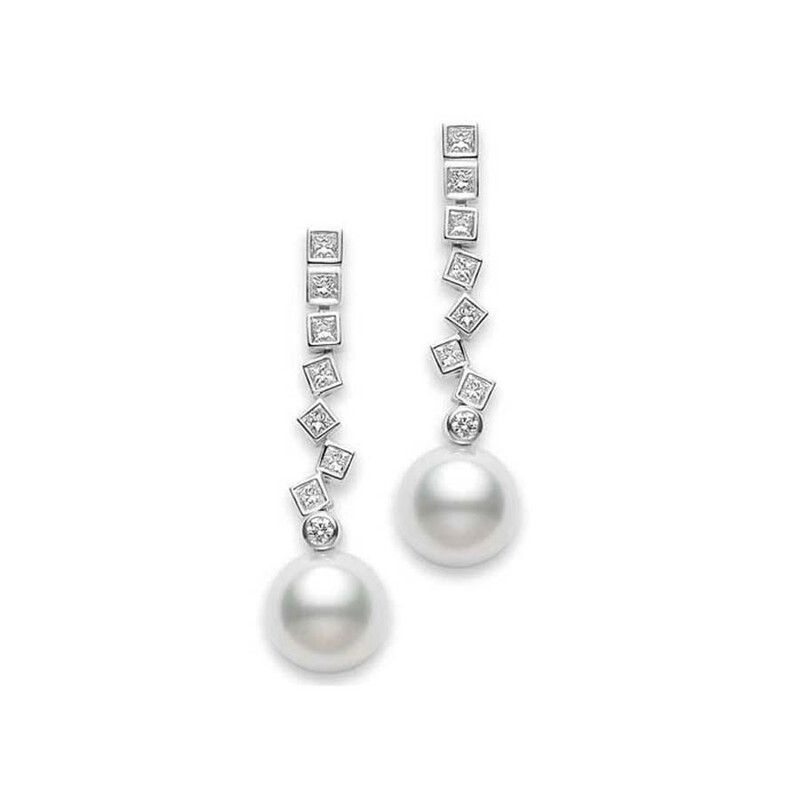 Mikimoto shows that high fashion can be a little offbeat with these fabulous diamond and pearl earrings. Diamond squares and a circle, crafted in 18kt white gold, form a not-so-straight line that ends with a 9mm Akoya pearl. 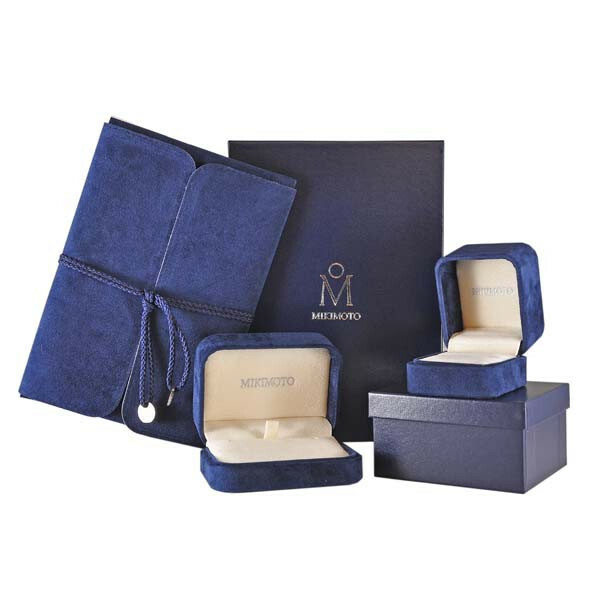 These Mikimoto earrings would be a fun addition to your jewelry collection!